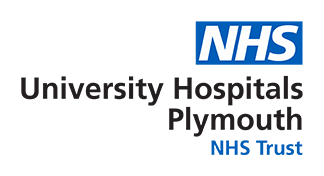 The Intensive Care Unit at Derriford hospital is one of the largest in the country and has a broad casemix reflecting the wide range of medical and surgical specialties provided by the hospital. Derriford hospital provides secondary services for a local population of over 400,000 and a range of tertiary services for the Peninsula population of approximately 1.5 M including neurosurgery, plastic surgery, pancreatic and hepatobiliary surgery, renal transplantation and cardio-thoracic surgery. The unit admits in excess of 1700 patients per annum with over 90% of admissions being unplanned. Post cardiac surgery care is provided in the separate Cardiac Intensive Care Unit, although a number of patients requiring prolonged intensive care support following cardiac surgery are transferred to Penrose ward. There is an active audit programme and the unit was a first wave member of the ICNARC case mix programme. The unit previously contributed to the cost block programme. We aim to ensure that all ICU novices undertake a Basic Intensive Care Medicine Course, run in-house. The unit is actively involved in a number of other courses including Focused Echocardiography in Life Support (FEEL), ALERT, ILS and a care of the Critically Ill Patient in the General Ward course. Phase 2 and 3 (year 3,4,5) medical students of the Peninsula College of Medicine and Dentistry undertake clinical attachments within the Critical Care Unit. Students participate in ward rounds and receive dedicated teaching sessions from the consultant staff.